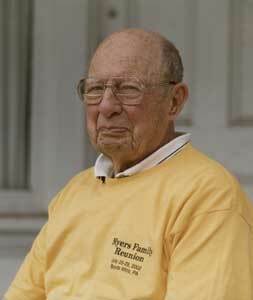 Jack Myers had a distinguished career as a research scientist. In 1939, he was awarded a National Research Council postdoctoral fellowship and began work at the Smithsonian Institution. 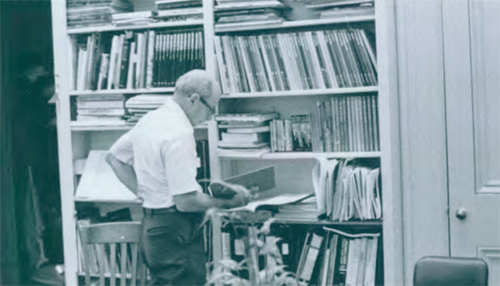 In 1941, he relocated to the University of Texas as an assistant professor of zoology, then expanded his role to professor of botany and zoology. During his years at the University of Texas, he researched photosynthesis, phototropism (the movement of plants toward or away from light), and the functions of algae. His writing and research won national accolades. He was a member of the National Association of Science Writers and elected as a member of the U.S. National Academy of Sciences. He received the Darbaker Prize from the Botanical Society of America. In 1998, the American Society of Gravitational and Space Biology awarded Jack their highest honor, the Founder’s Award, for pioneering the use of algae as a food source in the closed environments needed for space exploration. His writing spoke to curious kids with respect and delight, answering science questions and unearthing articles about scientific discoveries. The hundreds of articles he assigned covered topics like black holes and comets, animals’ adaptations for survival, new dinosaur finds, and how ancient cultures used natural resources. He researched and answered thousands of questions from children, such as why human skin wrinkles in water, why dogs walk in circles before lying down, and why people burp. In addition, Jack published a series of books focused on young readers and the scientific process–two of his greatest passions. In 1985 Jack started teaching at the Highlights Foundation Writers Workshop held in Chautauqua, NY. Through his work at the conference and in the editorial office, Jack mentored many science and nature writers with an interest in writing for children. Roger Williamson, a longtime student, then volunteer, at the Highlights Foundation Writers Workshop began the Jack Myers fund in 2002 to honor Jack’s work and provide opportunities for emerging science writers. After Jack’s passing in 2006, friends and family helped the fund grow. With Jack’s attention to scientific principles and a belief that even the most complex ideas should be accessible to children, writers who are interested in writing with a science focus and have financial need are eligible to apply for the Jack Myers Scholarship. Jack’s writing is a hallmark of excellence in science for children. Uncle Jack’s presence is still very much a part of the Boyds Mills property, and we know that his scholarship will continue to aid writers who have the potential to honor his life’s work through writing that engages children in science. April 23, 2019 Picture book? Early Reader? Chapter Book? Where Does Your Story Fit?